Among others, the city of Mexico is known for its culture and sports as much as it is for its thriving automobile sector. The city welcomes individuals with specialized know-how and those who can apply best practices across industries. 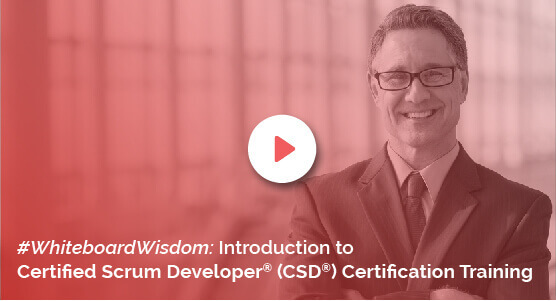 The Knowledgehut Institute offers instructor-led training for CSD certification in Mexico, which is one such currently relevant programme delivered in a fast track mode. This academy is recognized by the Scrum Alliance as a Registered Education Provider. At Knowledgehut, Scrum Alliance certified trainers deliver the CSD training in Mexico. This two-part course is conducted in an intensive fast-track mode over five days. Participants earn Professional Development Units (PDUs) and Scrum Educational Units (SEUs) accordingly. These qualify them for the respective certifications. The first part includes a discussion on the basics of scrum, the essence of agile, scrum roles, ceremonies, artifacts and more. This two-day training is optional for Certified Scrum Masters. The next part of the CSD certification in Mexico focuses on the technical aspects. These three days include discussions on agile architecture, design, SOLID principles, coding practice sessions and more. The CSD training in Mexico blends rapid learning with practical exposure. Beneficial for both employers and individuals, numerous benefits are bundled with this smart training programme. Here are a few: The cost of the CSD course in Mexico includes the fee for the certification exam. Participants get free access to an agile e-book and a useful e-learning course. Certified individuals get a 2-year Scrum Alliance membership. Priced reasonably, anybody interested in agile and scrum can attend the Certified Scrum Developer training in Mexico. Contact us to learn about the certified scrum developer certification in Mexico. You could also request for a demo before registering.